Businesses, regardless of size, can benefit from an employee handbook. Similarly, an employee handbook can provide benefits to people working in New Jersey. Generally, an employee handbook (also an employee manual) is a written record of a company’s policies and procedures. A well written employee handbook can provide clear guidelines and procedures for all employees and can help avoid lawsuits and other legal actions for employers. However, handbooks can also create contracts of employment which can bind employers if they are not careful. Business owners can save time and money by having an experienced employment attorney draft its employee handbook providing employees with answers, explaining business rules, and allow the employer to comply with state and federal laws. A handbook should be drafted both to help the employee and prevent litigation. A poorly written employment handbooks could contain provisions that violate New Jersey or federal law, opening an employer up to liability. An experienced employment attorney should review all employee manuals. An employment manual can under some circumstances create a employment contract with an employer. This can be detrimental to a company that intends to hire employees on an “at-will” basis. New Jersey is an “employment-at-will” state. This means that an employer can generally terminate an employee at any time for virtually any reason. 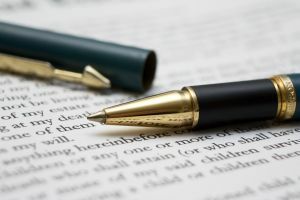 Having an employment handbook that creates an employment contract could change a company’s outlook on its operations, and ability to hire and fire in its business judgment. Employers should also update employment manuals regularly and have experienced New Jersey attorney review the employment manuals at least once a year because employment laws change and the handbook should reflect the latest nuances of the law. An outdated handbook can create potential liability for an employer. Our employment attorneys draft employment manuals that establish uniform business policies and rules, including payroll, pay days, and time off, establish the disciplinary procedures and publicize the company’s anti-discrimination and anti-harassment policies, establish reporting and investigative procedures to prevent discrimination and harassment, establish procedures to comply with wage and hour laws, establish procedures to comply with family and medical leave laws, explain to employees what is expected of them, and, most importantly, provide a receipt form, so employee cannot later claim to have not understood the rules. If you need help drafting an employee handbook or need assistance ensuring that an existing employee handbook is compliant with the state and federal law, our New Jersey employment attorneys can help. We regularly provide counseling to business owners and employees, help defend allegations for violations of New Jersey’s employment laws, and prosecute claims for discrimination, wrongful termination, harassment, or failure to be paid what is owed. McLaughlin & Nardi’s attorneys regularly represent both employers and employees in federal and state court, in mediation and in arbitration, litigating employment disputes. To learn more about what we can do to help, please e-mail us or call (973) 890-0004.